Nor’wester Therapy Dogs Canine Partners in Education provides registered therapy dog teams who will work cooperatively in the academic environment to support and build student motivation, enhance focus, and increase task persistence. The presence of our therapy dog teams will also offer emotional support and a stress free learning environment to improve academic achievement, student self-esteem and confidence. Nor’wester therapy dog teams will enhance the educational environment in public/private schools and on the collegiate level in ways which will prompt students to fully realize their learning potential. Learn more about us and get involved today! 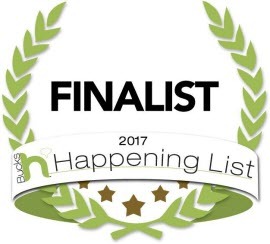 NWR Co-Founder Deborah Glessner was a Finalist for Most Happening Volunteer in Bucks County! Nor’wester Therapy Dog teams have positively impacted the learning environment of thousands of students since we implemented our program in 2007. Our dedicated volunteers and their therapy dogs participate in a variety of community events which support our goals and mission statement. 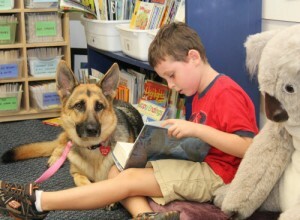 Our therapy dog teams work in tandem with teachers and counselors to support students with social and emotional needs. Our therapy dog teams aid and assist crisis intervention teams working with students and families in response to a school community tragedy.